Finish A Home Project & Upgrade Your Life! The things is, these home projects are actually not just home projects. These unfinished bits of business at home almost always represent issues that are a part of your life that you are also not willing to acknowledge, develop or handle. If your home is in limbo, to some degree your life is in limbo. Blank walls- unless you have a super-vibrant home, blank (artless) or colorless walls are often a sign of sensory deprivation in life. 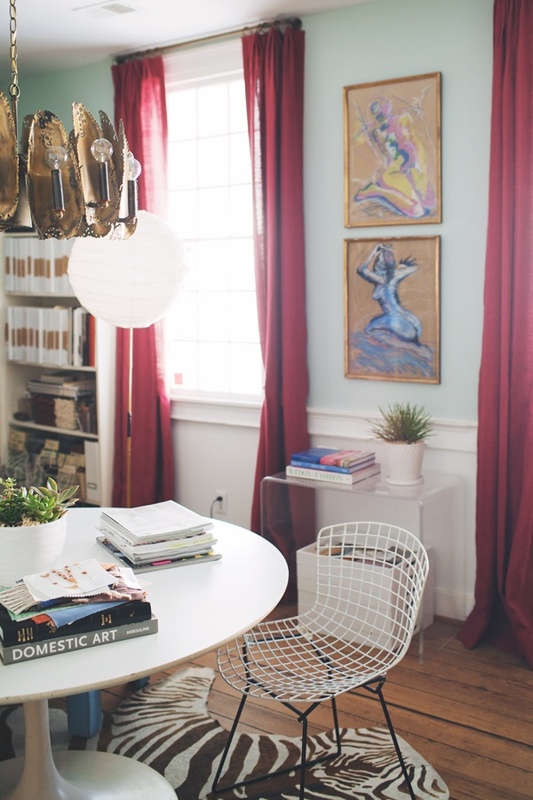 While it varies from person to person, blank walls are a way of “not quite settling in”. 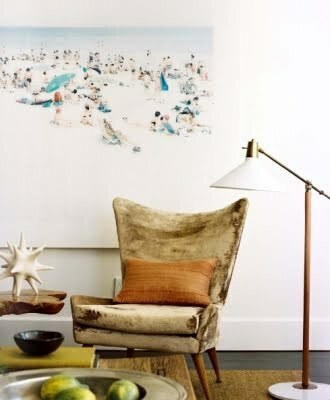 Art that is perfunctory and impersonal is not what you need- you need to connect to imagery in your home. No bed frame- I know, you like to sleep close to the ground. I know, you aren’t sure you want to go through the hassle of getting a bed frame. I’ve been in mega-mansions with homes minus bed-frames. If you aren’t willing to really appropriate your bed, you are not really settled where you are. Unless you decide to move right away (like right now) I suggest you get a bed frame and stay for a while. Half-moved-into-home- This is the place still packed in boxes for months or even years after moving. If you aren’t unpacking in your house, where else are you not unpacking in life? The home office that half-functions- If you have a home office and do not use it, you do not have a home office. If you work at home and your home office is also used for a zillion other things (like storage, or a random table) you are likely not taking your business very seriously, or you are letting it bleed haphazardly through your life. My own home office is under major “redoing” right now because I notice I will work anywhere but there; it is a big house project. I understand how it has affected my career and my habits in small and big ways. Every change I make creates a huge shift in my work. Take this space seriously and you will notice the difference! And on, and on, and on… I bet if you picked an “unfinished anything” in your home and you thought about it you could determine what it mirrors in your own life! Investing in a home project, no matter how big or small- will change things in your life. Even if you aren’t living in your dream home, if you can’t get comfortable where you are, you are holding yourself back from your dream home. It is rarely money or time that holds back home upgrades, repairs and changes- it is a lack of willingness or a lack of feeling that it is worth it to make the changes. Instead, we languish, dissatisfied and mildly annoyed by all that is unfinished. Let this serve as a reminder that you are worth it and you shouldn’t waste another day sitting in limbo. Now is an amazing time to get it done!!! Five Homeopathic Must-Haves In My Home! ohh I really like your advice about the home office. that is the perfect answer to my desk question! and the blank walls. I bought the 7 pack of 12×12 canvas’s and the 10 pack of the 10×10 canvas’s at Joann fabrics I think I am going to go back and get the itty bitty ones this weekend. and I am going to have an art gallery on my wall. 🙂 I’ll send a pic! It’s so ironic (in a good way) that I found this post literally days after I have started finishing my bedroom. I have been reading about Feng Shui for about a month (decluttered my WHOLE place, shredded papers galore, etc. looking toward a great, exciting year) and have been comparing notes before making my purchases. I have been saving to lists, researching prices as I need to be a good steward of my money hence that is how one has more money, being careful with what you have 🙂 ) I just purchased prints of couples in love for my bedroom, a nice chic tufted headboard since I have gone without a headboard for a year (part for money, part the one I bought was too small, part that I am now ready to find love again), off to purchase round side tables and pretty silver lamp bases and taupe shades and I ordered a beautiful blue floral bedspread last nite as the one i have really feels….wrong and I don’t want it on my bed another nite! (I just read the post about the 7th chakra). And, this all feels like me. The me I am now. And a few other odds and ends in pairs for a tranquil, romantic bedroom. I hope that it all feels right when assembled (or I will return it lol) Thanks for your awesome website and fantastic tips!!! Wow, what an amazing update Jeanne! So excited to hear how it all feels and what happens!!! Previous post: What Not To Do…! Next post: How Much Have You Developed Your Personal Style ?